The REEL Recovery Film Festival & Symposium is a multi-day exhibition event showcasing first-time filmmakers and experienced professionals who make films about addiction, treatment, recovery and sobriety. Our audience is treatment professionals, people in recovery, members of the entertainment industry, media representatives, educated moviegoers and the general public. Certain television shows have brought individuals’ incomprehensible demoralizing moments (i.e., “bottoms”) to viewers everywhere. We honor the men and women who have passed through the eye of the needle and exemplify the gifts of a valuable and productive sobriety. Types of Films: Shorts, features, documentaries, music videos, educational, student and all other films/videos of any length that deal with the subjects of addiction, alcoholism, treatment and/or recovery. Films should be editorially diverse, portraying a wide range of ideologies, experiences, cultural backgrounds, opinions and identities. Review Process: W.I.T. is currently accepting films year round. Reviews will be conducted by W.I.T.’s Board of Directors and/or other qualified advisors in the treatment/entertainment fields. Acceptance will be decided based on film content, quality, and availability of space. Films submitted as DVDs, clearly marked with: film title and running length. Include contact person’e name, address, phone number and e-mail address. DVDs submitted become the property of W.I.T. and will not be returned. Acceptance/rejection notifications will occur within 60 days of your submission via e-mail or phone. Submission Details: Submit entries via USPS to Writers In Treatment, PO Box 1745, Studio City, CA, 91614. The completed application and your DVD must be mailed together with a $35 submission fee (Features, Documentaries, Educational); $19 submission fee (Shorts); $10 submission fee (Student films). Checks should be payable to: Writers In Treatment. If you need additional information, please contact Leonard Buschel at (818) 762-0461 or info@writersintreatment.org. By signing this form, I acknowledge that I understand the general rules for submission to the REEL Recovery Film Festival and that I give W.I.T. my permission to screen this film at will. I understand that this DVD copy will not be returned. 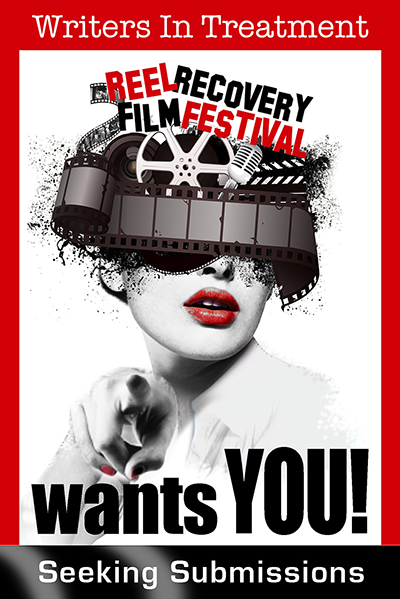 Submitting implies that Writers In Treatment has consent to screen your work at one or more REEL Recovery Film Festivals for the following 18 months.